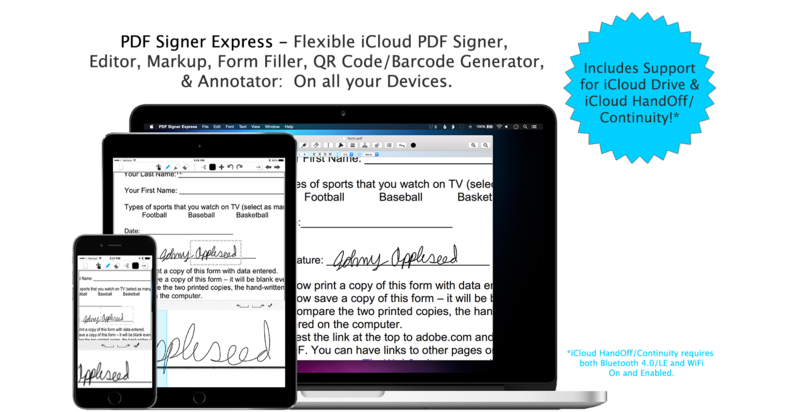 PDF Signer Express is the best macOS (and iOS) application for Signing, Editing, Marking Up, Reading, and Annotating PDFs effortlessly! 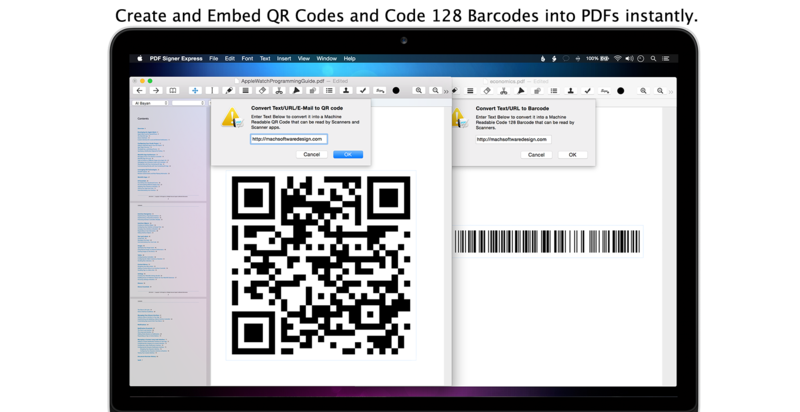 Insert Stamps, Checkboxes, Shapes, Fill out Forms, Annotate PDFs, Insert Signatures, and even embed QR Codes/Barcodes in no time flat. PDF Signer Express is not only chock-loaded with features, but is also one of the easiest to use PDF Signing and Annotating applications in the world. Featuring the most modern iCloud technology, PDF Signer Express keeps your documents in sync across your devices, so you can edit PDFs on the go and PDFs are automatically propagated to all your devices. PDF Signer Express also features iCloud Drive which if it easier than ever to access your files on any device* and with iCloud HandOff/Continuity, you can begin editing a PDF on one device, and continue on another** If that wasn't enough, with our PDF Reader feature, you can go from Editing a PDF to Reading a PDF with a single click! All these features make PDF Signer Express one of the best PDF Signing applications in the world. And most important of all, PDF Signer Express is free for iOS and only $5.99 for macOS! Most Advanced Cloud Technology, built-in. 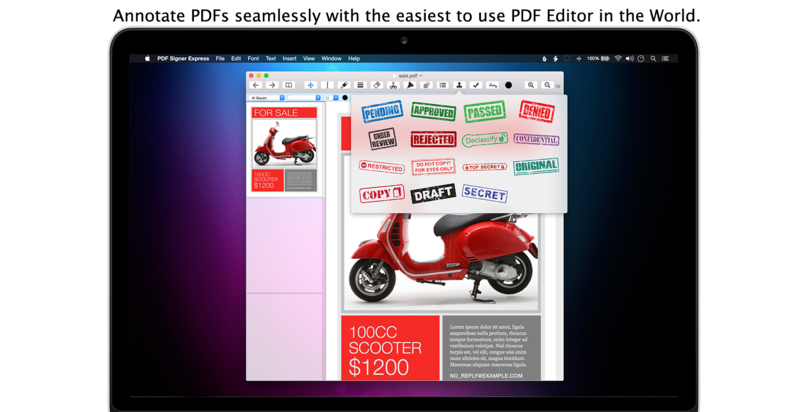 Learn how to use PDF Signer Express as well as learn how to make the most out of iCloud! Visit our Support Site. iCloud is completely optional -- PDF Signer Express works just as well offline as online!